One of the most exciting things to happen to glass beads in recent years it the ribbed bead roller which creates little lines of texture in the glass. The round ones look like Chinese lanterns and are so cute. The ribbed rollers come in many shapes now: disks, barrels, donuts and ovals. 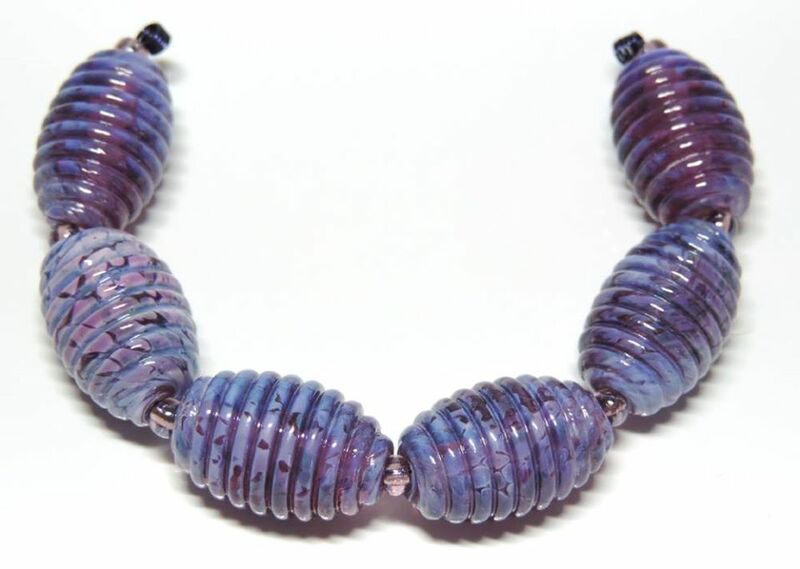 Check out this ribbed lampwork bead set from Cindy Lynne Glass Design.